State officials in Utah hope that switching to a four-day workweek will keep their employees out of Friday traffic jams and save them money by reducing gas consumption. Utah, which calls itself the “Beehive State” in deference to its residents’ industriousness, has an innovative plan that’s sure to put a smile on state workers’ faces and save energy — a three-day weekend. Today Utah became the first state in the nation to move to a mandatory four-day workweek. No workers on Fridays means minimal heating and cooling, fewer office machines humming and limited lighting. Electricity is probably the most expensive item in an office, says Nancy Kiefer, the director of facilities and office services at the World Resources Institute in Washington, D.C.
How much money Utah can save remains to be seen, but the goal, says Kimberly Hood, executive director of the Utah Department of Administrative Services, is $3 million per year. A pilot study, in which officials closed six buildings on Fridays for 21 months, indicates that costs could fall by 20 percent. In fact, closing just six buildings resulted in an annual savings of $123,000. The state expects to be able to close as many as 1,000 buildings. 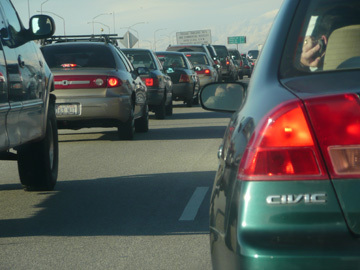 High gas prices have taken a toll on employees with lengthy commutes. “Employers are looking for ways to ease some of that burden,” Facer says. The money that state employees could save on gas by not commuting on Fridays — assuming they don’t just supplant their commutes with other driving — becomes “discretionary income like any other income,” he says. But it’s not just about money: Fewer cars on the road and reduced electricity demand mean fewer emissions. “The transportation sector contributes something on the order of one-third of all U.S. greenhouse gas emissions,” says Pat Hogan of the Pew Center on Global Climate Change in Washington, D.C. The closure of just six buildings in Utah’s pilot study led to an annual reduction in carbon emissions of 3,000 metric tons. Skeptics have suggested, however, that 10-hour days are simply too long. Employees will get tired and be unproductive, they say. Facer’s research, however, indicates the opposite: Four-day workweeks result in higher productivity, lower absentee rates and higher job satisfaction. In fact, a survey conducted by the Utah Department of Human Resource Management found that more than 80 percent of state employees think the new schedule will be beneficial. Perhaps that’s why the concept is catching on in other places, including Birmingham, Ala., North Miami, Fla., and Avondale, Ariz.